I just got this month’s a day or two ago, and immediately spirited it to safety upstairs into my sewing room. The closest danger there is Auggie deciding the spools are chew toys, so I have to keep them off the floor. 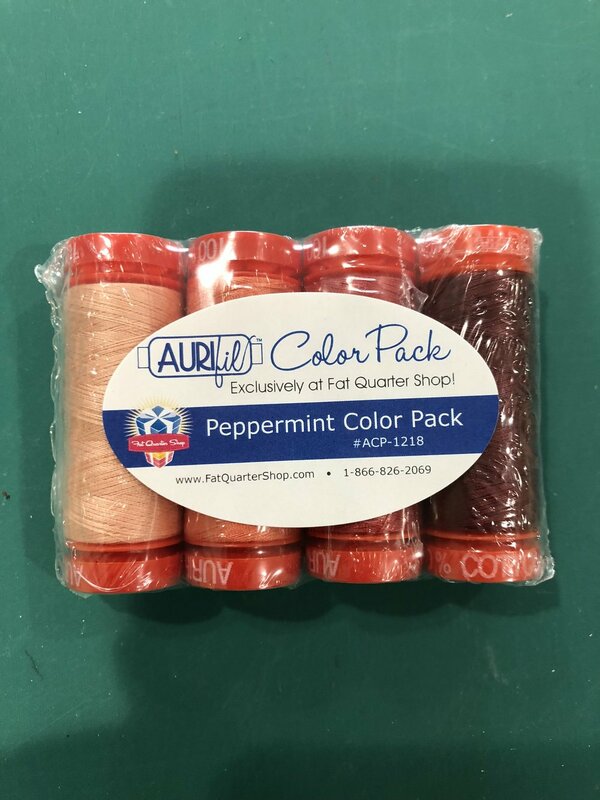 So this month is the Peppermint Color Pack. I’m not entirely sure why. It looks more salmon-y than peppermint to me. Here are the spools in their non-plastic-covered splendor. I’ve taken today, the day after Christmas, as a vacation day and, although my plan was to spend most of the day in my sewing room, a new novel beckoned this morning (from December’s BOTM: The Far Field by Madhuri Vijay. Loving it so far!). That, along with a certain level of weariness after yesterday’s family festivities, meant I spent most of the morning with coffee curled up in an armchair near the fireplace. Not a bad way to kick off a vacation day at all. After lunch, I ventured into my sewing space. Oops, yes, there was some cleaning to be done first, as it was also gift-wrapping central. 15 minutes later I then realized I had the December Sew Sampler box that I had done little more than glance at when it arrived. 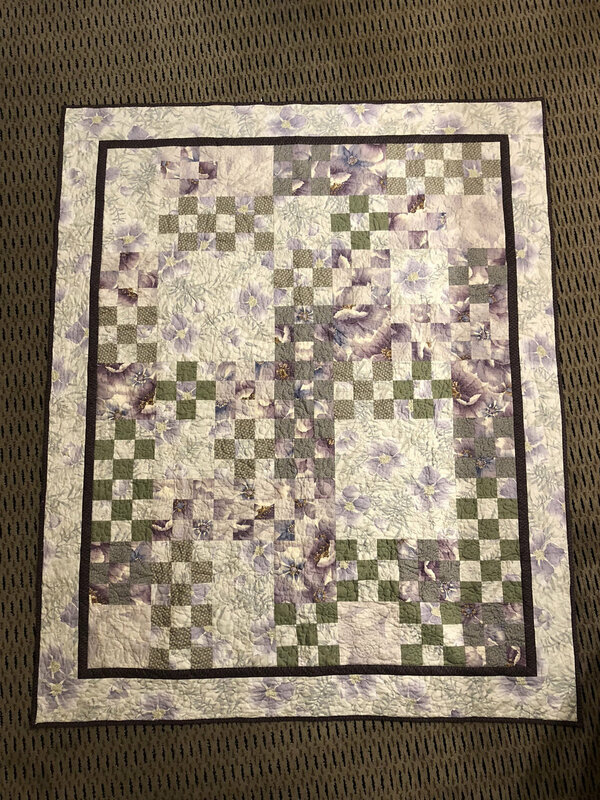 So here’s my Sew Sampler box report. By now, I know anyone who has subscribed has already gotten theirs and knows what’s in it so I’m not ruining any reveals here! The theme, as you can see here, is “Winter with You.” That being said, the box had a much more spring feeling to me. Not sure how they decided this was a winter box. 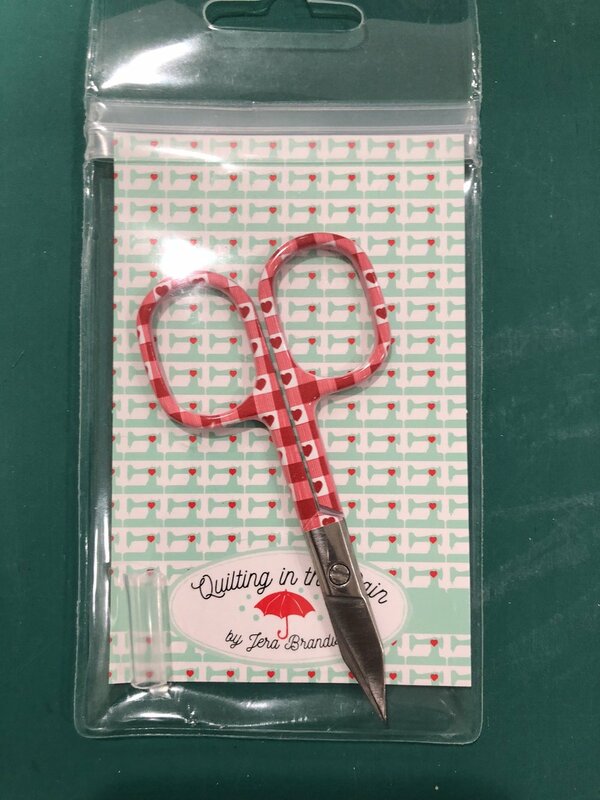 This cute little pair of Cherry Gingham Heart Snips from Quiling in the Rain by Jera Brandvig definitely make me think of summer picnics with the red gingham. With their short blades, I think I might be able to get these on a plane, as I’m really working my brain into gear for taking my embroidery with me on all the trips I have lined up this spring. (I’ll mostly be doing carry-on luggage so the scissor blade length is critical.) I’ll be spending a fair number of evenings by myself in hotel rooms so there’s really NO REASON not to have it with me…or so I’m reminding myself now so I don’t get a fit of the lazies when I’m packing and decide to leave it behind. If you look carefully, you’ll see the bit of plastic tubing they included in the package to put over the blade tip. Nice touch. 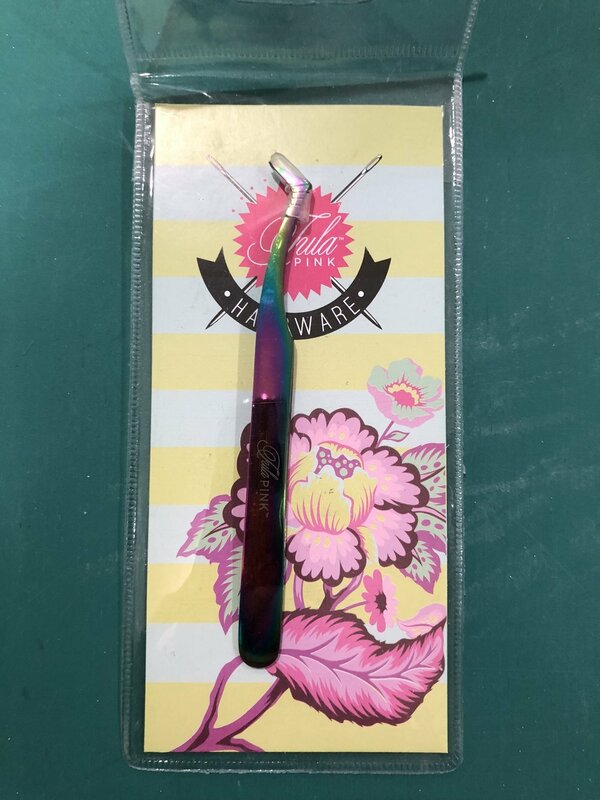 In the same “handy tool” theme, this box also included 4.5” swiss style tweezers, by Tula Pink Hardware. 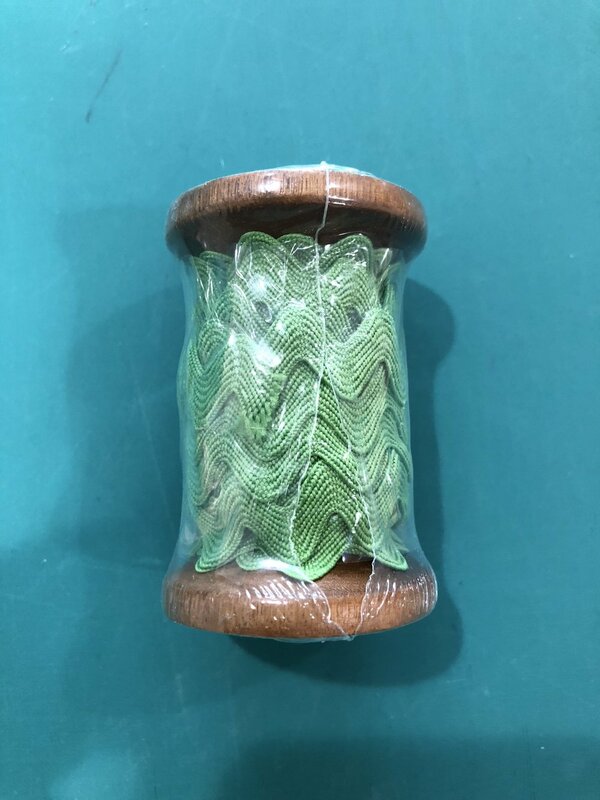 According to the package, you can use it for pulling threads, of course, but also as a stilletto or to get a hold of embellishments and such. I’m trying to decide where it’s best for me to store this tool—would I use it more in my embroidery life, and therefore it should be in my embroidery case? Or would I use it more at my sewing machine, therefore warranting a space in my tool holder next to my machine? Pondering. 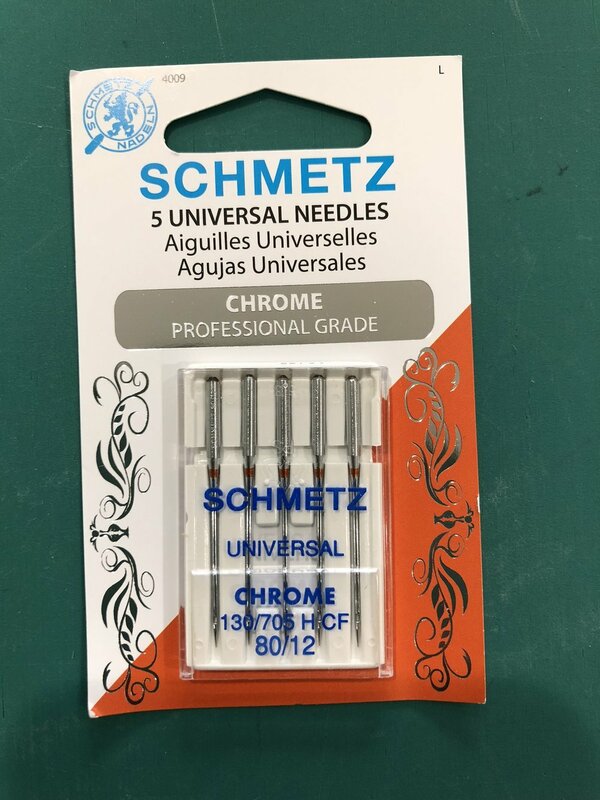 In either case, it looks like it’ll be a nice tool and, although I already have tweezers in several places in my sewing collection, these have a nice angled point that sets them apart. This box includes the Woodland Rose Mini-Origami Squares (two packages) and a finishing kit for the totebag pattern below. I messed up the nice packaging to show both fabrics in the photo. It’s a very nice collection, although not entirely my style. I went through a Shabby Chic phase many years ago but haven’t been there in awhile. Still, I certainly know people who might appreciate it as a gift. 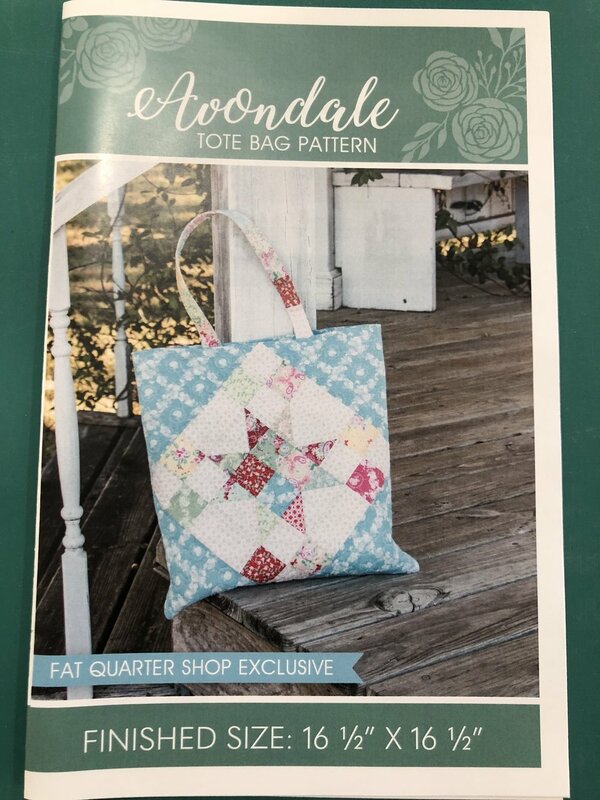 The fabrics and thread are all intended for this pattern, The Avondale Tote Bag Pattern, a Fat Quarter Shop Exclusive. 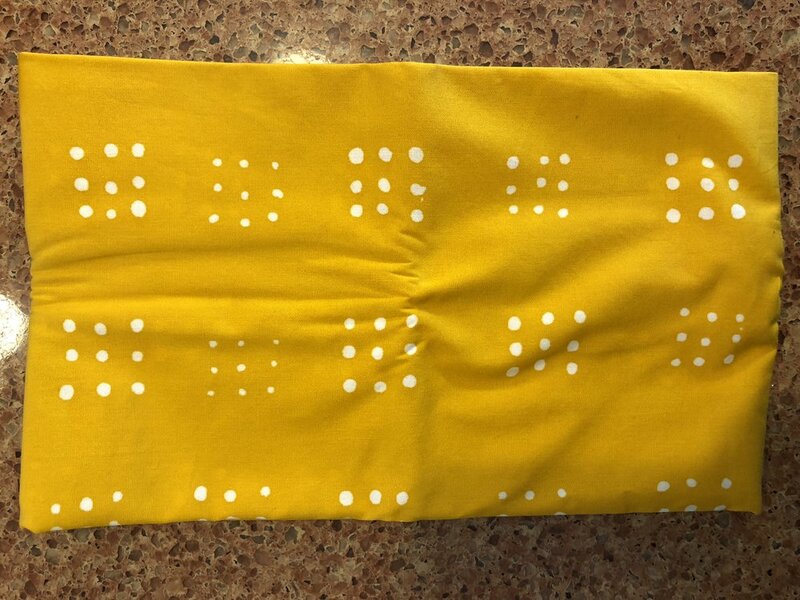 It’s a nice pattern but, as a tote bag, it’s just not quite my bag. Ar ar ar. Nope, couldn’t resist, especially as overtired as I am today. I prefer to use totebags that have some sort of closure at the top. However, there is certainly use for open totebags—think “packing for a quilt retreat,” although I haven’t been on a quilt retreat in quite some time and, with all my upcoming work travel, don’t see myself getting to another one any time soon. If I am looking for a relatively straight-forward project at some point, though, this might eventually fit the bill. We’ll see. Last is the usual Barn Block Recipe, and we’re up to #9. I’m keeping all of these although I’m not sure, again, if I’ll ever use them. But I can’t predict the future and they don’t take up much space in my sewing room, so it’s not a problem to hang onto them just in case. 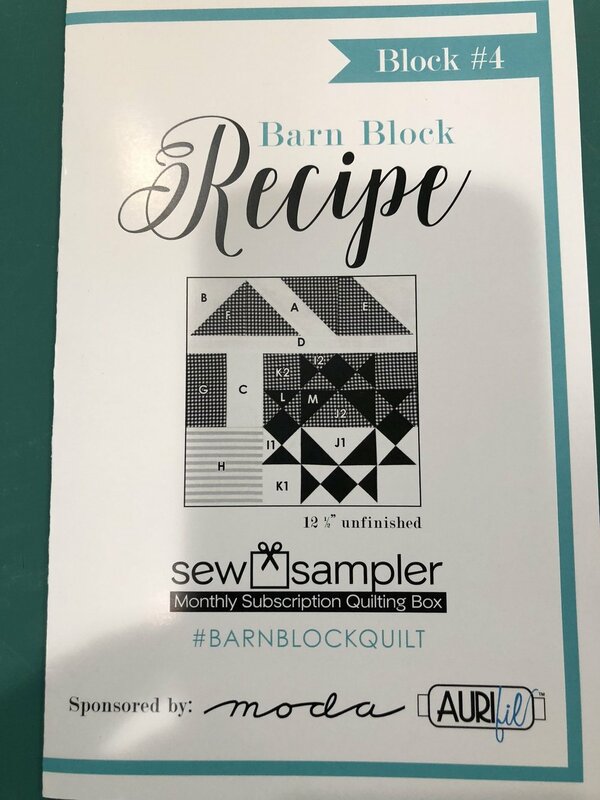 So that’s it—my December Sew Sampler box opened, examined, and blogged about, and I even managed to get it done before getting my January Sew Sampler box! 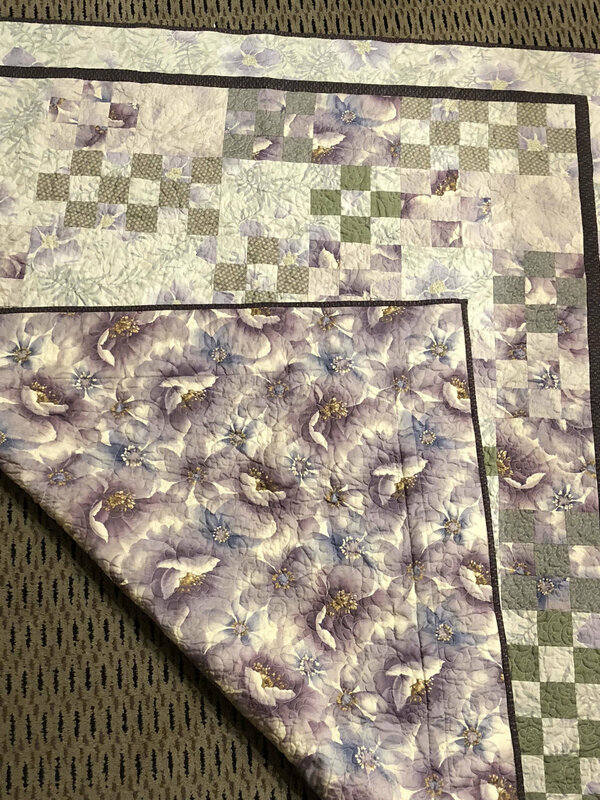 And now I’ve gotten my first "#BDSI* project done—cleaning off my cutting table and dealing with the first past-due blog post. *Boxing Day Sew-In, if you’re not in the loop. It was faster for me to do a vlog post yesterday. So you get to see me unboxing the October Sew Sampler box as well as talking a little about life. If you didn’t read the previous post about Causebox, here’s the update: Auggie ate my tripod so I can’t do a video unboxing at the moment. With apologies for the bad lighting on a rainy day, here’s what came in this month’s Stitch Fix. I’d asked my stylist (Patience), for tops that would go with a couple of tricky-to-coordinate-with blazers I’ve gotten in previous boxes. I also asked for a roomy pull-over sweater that I could layer, and said that scarves are always favorite accessories. Here’s what she sent. This sleeveless top is meant to go under my olive blazer from a couple of Stitches ago. Although I love the fabric and print, I don’t like not having wider straps to cover my bra straps, even if I’m wearing it under a jacket. Also, the lattice work down the center didn’t hang quite straight when I tried it on. VERDICT: Return. 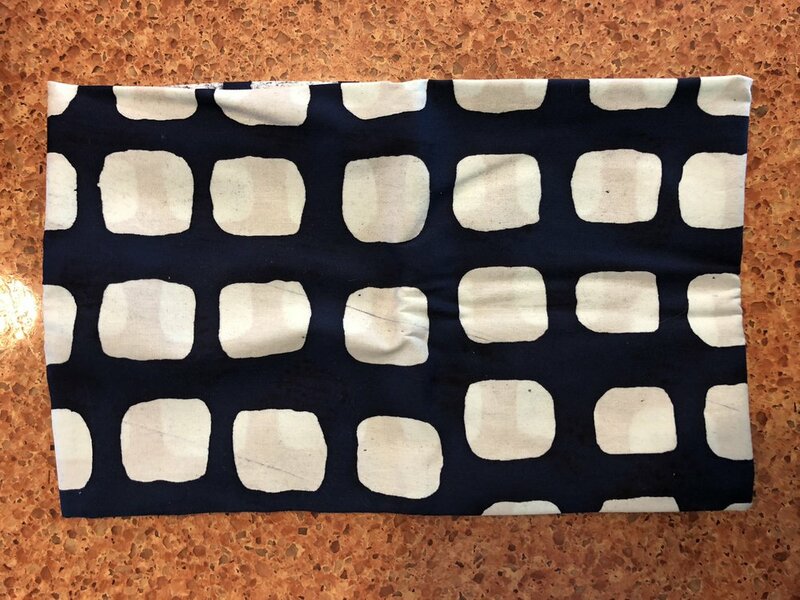 This scarf is wonderfully soft, a nice weight (pretty lightweight but not sheer), and has great colors for my fall wardrobe. Plus, we all know what a fan of scarves I am. This green top was meant to go with the strange-blue blazer I’ve been working on finding something to coordinate with for several boxes now. It’s a great top in terms of shape and color (it’s a pretty emerald green, even though it may not quite look it in the photo), and the way it drapes, but it’s super-sheer. You can see how much the tags are showing through. I was disappointed. This would’ve probably been a keeper if it had been a slightly heavier fabric. Yes, I could layer it over a cami, but I struggle with tops that I can only wear if I have to wear something underneath them. Even in the cooler months that can get too warm. Plus, even though color-wise it worked fine with the blue blazer, there was something funky about the two necklines—they didn’t play nicely together. VERDICT: Return. Yes, I’d asked for a pull-over sweater, but although I can look at this objectively and say it’s a cute sweater, it’s really not at all me. I didn’t even bother trying it on because I didn’t want to be tempted by the “Well, it does fit” demon. Sometimes I’m so glad to have something fit I talk myself into thinking I’ll like wearing it. And then I don’t. It’s also incredibly soft and I didn’t want that demon to come into play either. So it was better for me to just leave it in the box and not even pretend. VERDICT: Return. I did try it on just for the sake of argument and nope, it was still a turn-off. VERDICT: Return. So if you’re playing along at home and keeping track, out of the five items, I only kept the scarf. That’s fine by me—I’ve been adding enough to my wardrobe anyway! And I just got a notice today that my Dia Active box has finally shipped—woo! Looking forward to seeing how that one works. So stay tuned! 2. Auggie ate my tripod. I’ve looked at Causebox for awhile and finally decided to subscribe as a gift to myself when I got the new job. Causebox comes four times a year and is a social entrepreneurship box. 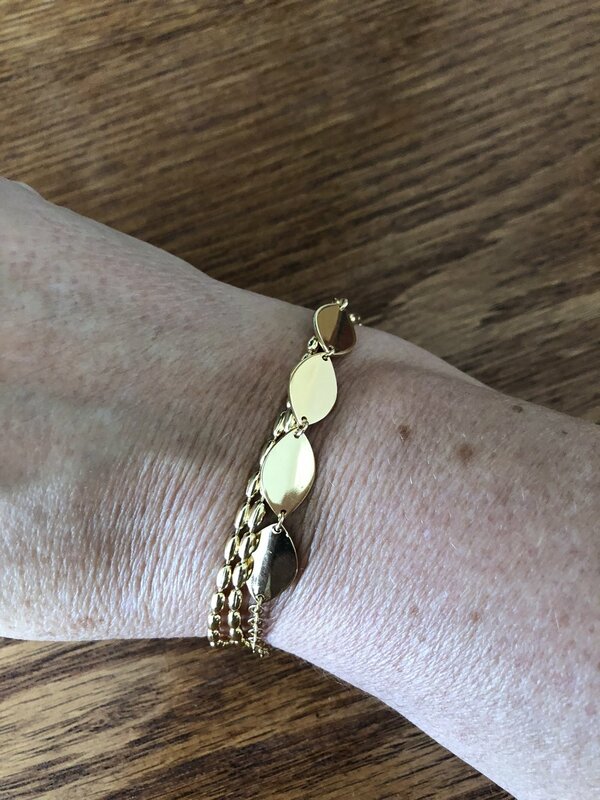 In other words, it contains items that give back to women who create them and/or portions of proceeds go to not-for-profits benefitting women in poverty. This is my first box. I was very excited to get it! The box comes with a multi-page pamphlet that describes all the items and the women supported by the proceeds. The box itself features designs by different women artists each time—I almost hate to recycle the box! If only it were archival cardboard so I could use it for quilt storage. You can see a totebag laying on top of the box. Now, mind you, I’m not exactly needing yet another totebag. But this is a really nice one, so it’s definitely a keeper! It’s very sturdy canvas and extremely well constructed. A zipper pocket and little keychain clasp are on one interior side, and some open pockets on the other. It has a nice little slip pocket on the outside, but I think it’s a bit too small for my cell phone. I’ve got my hand pushed to the bottom so you can get a feel for the size of the pocket. The "vegan leather” handles fit comfortably over my shoulder, although I would wish they were a little wider if I had the totebag really weighed down. Still, it’ll be a nice totebag to grab for the random farmer’s or craft market trip, or to pack more for quilt retreats (if I ever get back to one, that is). And here’s everything that was hiding under the totebag. The paper filler and the box are all recycled materials. The next item I pulled out of the box was a scarf. We all know how much I love scarves! Indeed, I have to confess, it was probably pictures of scarves included in previous boxes that enticed me the most. This scarf is from Bloom & Give. Partha Raghunatha and Madhu Rajendran created this handwoven textile company to support projects that send girls to school. The Causebox partnership allowed them to complete funding for a camp for 50 girls in Rajasthan (India), adolescents who had dropped out of school to help out at home or on the farm, or due to arranged marriages. They spend summer in the camp to study hard to catch up with their peers so they can go to high school or sit for the GED, making them more able to get better jobs or go to college. This is a wonderfully soft, light-weight scarf that I will absolutely be wearing this fall! Paper Source is a company owned by Winnie Park. The company creates handmade paper with makers in India, Nepal, and Japan. This particular set of notecards is made with recycled cotton scraps and remnants from the garment industry. The pamphlet also states that the paper is made using “human intensive techniques and solar power instead of heavy machinery.” It feels and looks beautiful! Who knows, I might even start writing by hand again. I’m not typically a fan of eye shadow palettes like this as you only end up using one or two and the rest go to waste. I also don’t change up my eye shadow colors all that often—I tend to find one that works well and stick with it for, you know, years. However, I have to say this one looks promising, and I absolutely love the color names. They also included a shadow brush from the same company, so I’m looking forward to some play time. The company is named RealHer. It produces vegan and cruelty-free products. The founder, Bill Xiang, apparently started the company after the birth of his first daughter, and realized the “standards and messaging of the beauty industry” were not what he wanted for her. There’s a positive affirmation in each product. 20% of the proceeds go to the American Association of University Women. They’ve also donated to other organizations, such as for breast cancer research, LGBTQ groups, and organizations that provide makeovers and products for women in hospice and those who are homeless. Natura Brasil is a beauty product company committed to sustainability. They use mostly recycled packaging, water reclamation systems, and have been carbon-neutral since 2007. They source their ingredients from local communities, which creates better economic opportunities for those families. I haven’t had the opportunity to try this one out yet, but I’m game. Finally, the thermal bottle. This is so cool, although I already have so many water bottles I’m not sure how much use it will get. 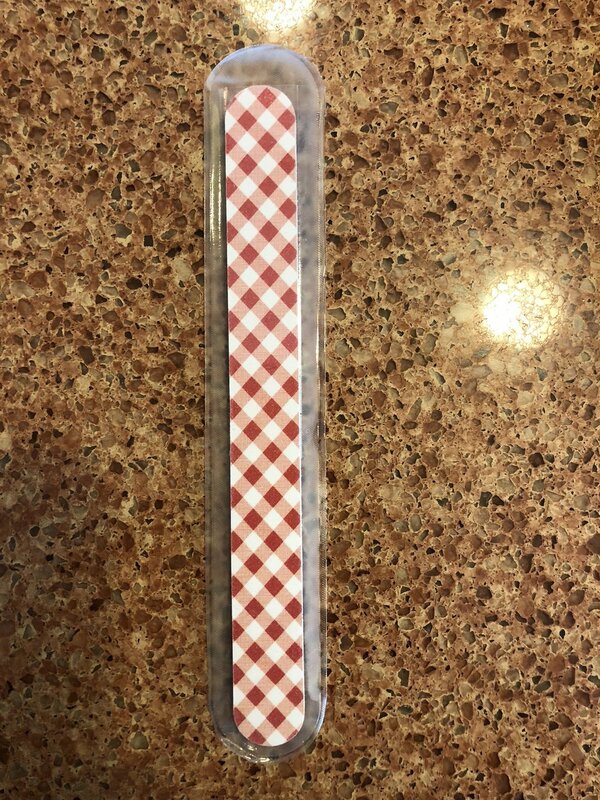 It’s not in the pamphlet because the item that was supposed to be in the box (a hand-carved wooden cutting board) had run out before they’d managed to fill all the box subscriptions, so those of us who were late to the game got the water bottle instead. It’s from Swell, the “fastest growing woman-owned company” in the U.S.
It’s very beautiful and feels nice to hold. I went on the website to check out what else they had and would’ve preferred one of the other designs, but hey, this works. I suspect this will be better for my husband tail-gating at Bills games if he doesn’t think it looks too frou-frou for that purpose, LOL. So, all in all, I really enjoyed this Causebox. Oh—and the pamphlet includes coupons for all the companies featured in the box so I may be doing a little more shopping (ahem, scarves). I’ll get the next one sometime in the winter—looking forward to it! Okay, so that doesn't work quite so well as "Wardrobe Wednesday." Still, I have a bit of a clothing subscription box update. 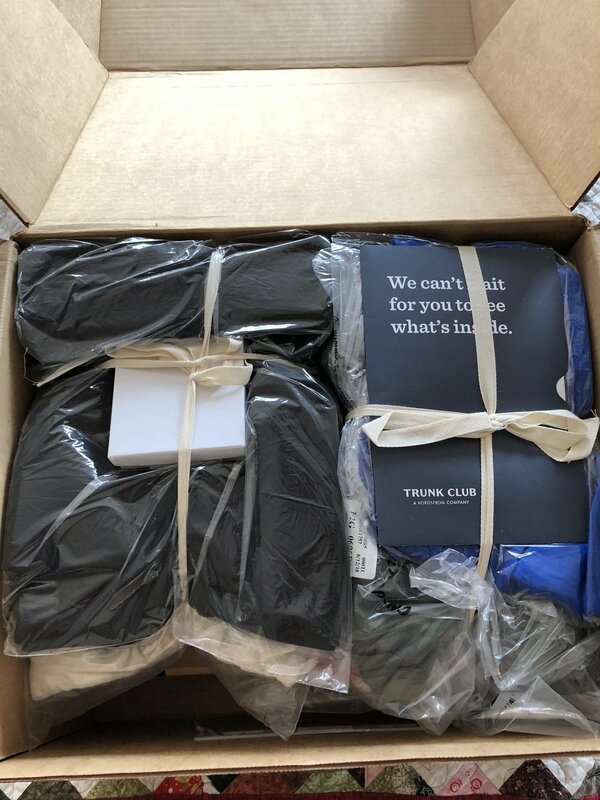 I tried out a new subscription clothing box (new for me, anyway). Actually, I talked my daughter into trying it out first and then succumbed myself. I've had a pretty stressful summer, and am unhappy with how I've regained weight from the foot surgery and all my wonderful new clothes from before no longer fit quite right, so I indulged in some retail therapy. I don't know if I'll keep this one up but I have to say I was really impressed with their customer service, regardless. So the new one is Dia & Co. It's a subscription that focuses solely on plus sizes: 14-32. My daughter and I wear close to the same size although we have very different heights and body shapes, and we're 28 years apart in age, so I thought it might also be interesting to see how they dealt with both of us. DD got her box a couple of days before mine, and hers was a 5-for-5. She was really happy. It had two very cute tops, a pair of dress pants, a pair of jeans, and a necklace. I wasn't as keen on the dress pants on her but she said they were really comfortable and would work great for work, and she's 25 so her choice. Everything else looked fantastic on her, though. The jeans fit her perfectly and looked great--although, like with most pants, she really ought to have them hemmed. (She's my fun-sized daughter at 5'2".) She wouldn't let me post pics on the blog--sorry about that! I was encouraged by seeing her box, but I wondered if the company would do as well with someone of advanced years. There are a lot of things DD and I can swap out--we have similar tastes in style, too--but I've tried other boxes (translate: Wantable) in the past that just skewed way too young for me. I got my Dia box yesterday. When I first pulled the items out of the box (at 9:30 pm after just having walked in the door from a one-day turn-around flight down and back to Philly for meetings, requiring me to have gotten up at 4a), I looked at all of them and said, "meh, I doubt I'll keep any of these." Today, when I was feeling marginally more fresh and definitely in a better mood, I actually tried them on. At the moment, I'm definitely keeping two, likely keeping a third, and will only keep the other two if my daughter wants them. It comes in the usual bundle, with a letter from the stylist. It didn't feel overly personalized to me at first (you fill out the usual quiz when you sign up and let them know what you want/don't want), but after I thought about it, I realized she probably had tried to personalize it to me as best she could given the comments I'd made. But none of these subscription box stylists seem to know what the words "bright colors" mean. Apparently true bright isn't the thing these days, because I NEVER get anything I think of as actually bright no matter how many times I ask. I'm using the pics from the app of what was in my box because trust me, with yesterday's trip, I do NOT look good enough for style photos today, LOL. You'll just have to imagine what these look like on! This blouse is the one that sent me into a conversation with Dia's customer service. I love the blouse--it fits beautifully, it's a great material, and I love the fact that the tie can go in front or back as well as being able to adjust how form-fitting it is. It's very flattering. At least, it's flattering in terms of the cut and style. The color, not so much. This is not a great shade of yellow on me. I need more saturated, more golden yellow. This made me look even more overtired than I already am. I checked in with customer service to see if it's possible to exchange it for color. It comes in two other colors (coral and teal) but they were sold out in both of those in my size. She gave me an extension on my return date to see if they get any more in their next shipment (she has no way of knowing ahead of time). If they don't, I'll keep this one and just, in true Tim Gunn form, make it work. It would be adorbs under a navy blazer or cardigan--of which I own both--which also makes it a good transitional piece summer to fall. And if I wear it by itself, I'll just wear shiny gold jewelry and really, really good make-up that day. This blouse was a total miss for me. The color is worse on me than the yellow blouse above--I looked even more tired (like, totally strung out, death-warmed-over, should-be-crashed-on-the-couch-the-rest-of-the-day tired) in this color. It also had no shape on me. It just hung all over. My daughter is going to try it on when she comes over this weekend as with her different body shape it may work better on her than it does on me. This isn't her usual color or style, but I think the color would look better on her too. The only reason I even asked her if she's interested is because, in the way these subscription boxes often work, I only save $10 if I send two things back rather than keeping the whole box, because of the various discounts you get. So for $10, if she likes it, she can have it. When I first pulled this out of the box, I thought, "Nah, I don't really need another dress." Then when I tried it on today, that changed to, "But hey, I really need THIS dress." I absolutely love the way this fits and feels on me. The neckline is great--it's pleated to have the visual effect of a deep-V which is best for my neck and chin, but it has a panel that comes across keeping it appropriately modest enough for work. The overall cut is extremely flattering, and it's a great color on me. I also tried it on with an off-white, deconstructed blazer I bought recently and it looked good, so that makes this another very versatile piece. I don't have a history of wearing dresses much but that doesn't mean that habits can't be changed. Dresses like this might make me tempted. So I'm keeping this one. I'm a sucker for a great necklace but this one didn't do it for me. Partly, it's not nearly as prominent a green/blue color IRL. It's quite a bit more muted than this photo makes it appear. And somehow this just looked old fashioned to me, and not in a good way. I already have another necklace I got over a year ago from Stitchfix that's in similar colors that I really love, so I'm not keeping this one. However, DD might take it off my hands. Again, $10 difference. Go figure. And now I really do have to tell all these boxes to stop sending me pants. Again, as I pulled these out of the box, I thought, "Nope, don't need another pair of navy work pants." And then I put them on. Boy, are they comfortable and they fit beautifully! They've got stretch to them but still look structured. And I think they'll travel really well. Surprisingly, some of my other dress pants wrinkle in my suitcase. Ain't got time for that on a work trip. These are more like a Chino than a formal dress pant, which means I can dress them up or down a little more easily if I want something slightly nicer than a pair of jeans, but they'd still be fine for most work events. For most of my adult life, I'd have gasped at spending this much on a pair of pants. $25 was my upper limit. $35 felt like a luxury pair. What I've learned over these last couple of years of subscription boxes is that, often, you really do get what you pay for. A good, comfortable pair of pants is well worth the money! So my experience with Dia & Co is fairly positive to start. They have an athletic wear box you can do instead, so I may give that a try next time as I really don't need much in the way of clothes at this point, especially as I have another Stitch Fix on its way that I've already peeked at and am looking forward to! I also did another Trunk Club which I'm not as excited about--I don't know why I keep going back to them. Anyway--I'll give that report when it comes. Here's my Dia & Co referral link if you want to check it out for yourself! Meanwhile, I really have to get back on that "healthy lifestyle bandwagon." It's amazing what a stupid thing like toe surgery does to your entire psyche. Well, that and stress. But really--it's time for me to just get over myself and get back on that elliptical! I got home from my work trip Monday afternoon and have had yesterday and today as comp days. On top of the usual exhaustion of board meetings followed by running a conference, I was sleeping in a dorm room, drove four days round trip with people in my car half of both ways, and had a lot of significant interactions with people while I was there. So I've been in Introvert Recovery Mode and trying to talk to as few people as possible the last couple of days, even via social media. However, I did come home to Happy Mail: My July Sew Sampler box was waiting for me! If you haven't gotten yours yet, SPOILER ALERT! You may not want to read any further! Once again, there are some very handy tools and notions in this box, although it's all built around a pattern I'm not sure I would actually make. It's not entirely my style. It's a Dresden Plate block, which I do like, but I'm not keen on the setting. However, I'm glad to have the tools to make a Dresden Plate as I could see me putting those to use someday! I'm just dumping everything into a gallery--it's on automatic but you can also use the forward and back tools on either side of the photos to move at your own speed. If you're reading through through a blog-reader, you may need to go to the web version to get the gallery. The best thing for Introvert Recovery is a cup of tea and a good book. I've been merrily sipping away at more of my Plum Deluxe teas: Oregon Breakfast Black Tea is my current go-to AM tea for after I'm done with my coffee but before I cut myself off of caffeine at lunchtime. In the afternoons, I switch to iced tea made with whatever blend strikes my fancy. Somehow, caffeinated tea does make it into my iced tea brewer but I think that's because the ice cuts the caffeine significantly so it doesn't bother me the way a normal cup of black tea does. So lately I've been drinking Spiced Berry Refresher Iced Tea Blend. I make so much iced tea over the summer that I got impatient with my former "sun tea" method using a glass pitcher on my back patio, and ordered myself the Takeya Iced Tea Maker from Amazon. Well worth it. Now I can have fresh brewed iced tea in about 15 minutes. 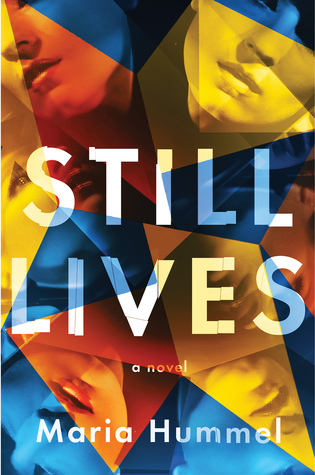 Still Lives by Maria Hummel: And here's my Goodreads review of it. I was fair to middling on this one. I liked it as far as it goes, but would've liked it better if she'd pushed some themes a bit more. 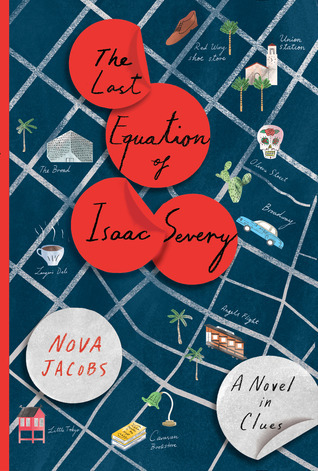 The Last Equation of Isaac Severy by Nova Jacobs: And my short review that tells you almost nothing about the book itself. (I've been busy--sorry!) I can saw that I enjoyed this more than Still Lives, and it surprised me how much I liked it as I read it, for some reason. I've put Pillars of Earth by Ken Follett on hold for a bit. I'm struggling to really get into it and decided I wanted to read other things for a bit. I haven't completely abandoned it, though. Maybe I'll be more in the mood in the deep midwinter when snow falls and it feels more the thing to be immersed in a slow-moving epic. I'm still reading Us Against You by Frederik Backman. This is the sequel to Beartown and it's just as good--it drew me in from the first couple of pages. If you decide to read this, you do really have to read Beartown first as this one assumes you know everything that happened in that one. There's not a lot of time spent on backwards exposition. Hey--did you know that if you use the Goodreads app you can super-easily scan the cover of a book to get all the information about it and add it to one of your shelves? Honest--I don't get any kick-back from Goodreads. I just use it ALL THE FREAKING TIME to decide what I want to read next, check out books in the bookstore or on my neighbor's lap in an airport waiting area, and add what I'm reading to my shelves. Their scan feature got super-fast and easy in a recent update, so I highly recommend it! That's all my catch-up for now. I only have one short turn-around trip in August for work, and then vacation at the end of the month. Meanwhile, I'm hoping to have some quiet time for sewing and embroidery--and maybe more blogging and podcasting! 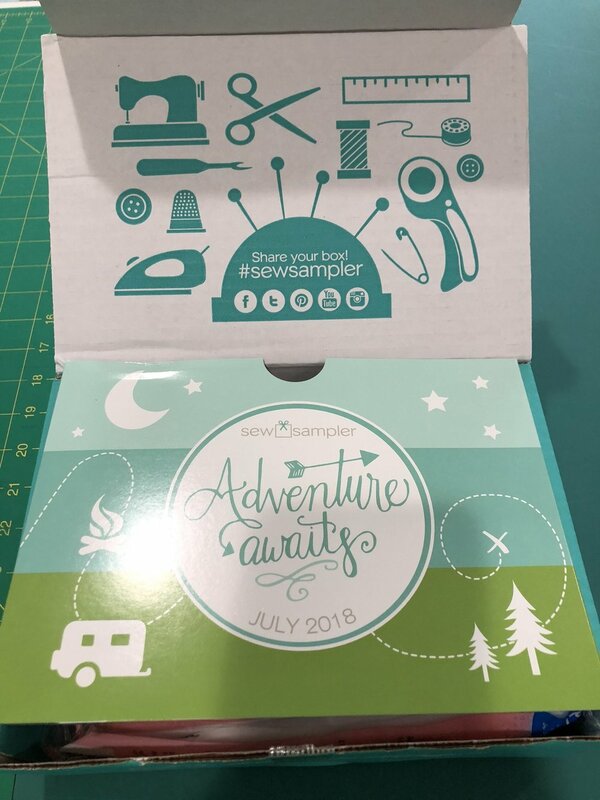 SPOILER ALERT: If you're a Sew Sampler subscriber and haven't gotten or opened your box yet, don't read any further unless you want to spoil your own surprise! Still a little gravely in my speaking-box so I'm just doing pictures again. 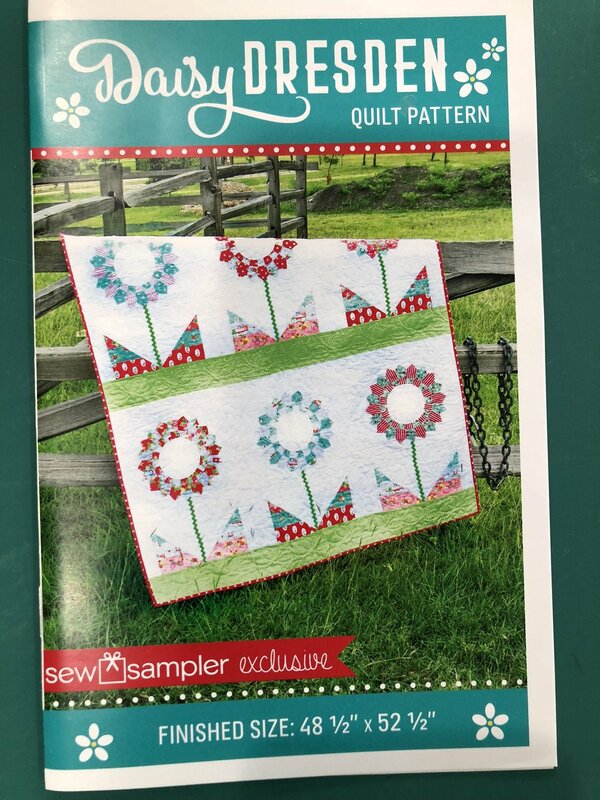 This was a well-timed Sew Sampler as there's something that will definitely come in handy during my quilt retreat this weekend! First thing I picked up out of the box was this nice little set of 20 marbled glass-head pins. 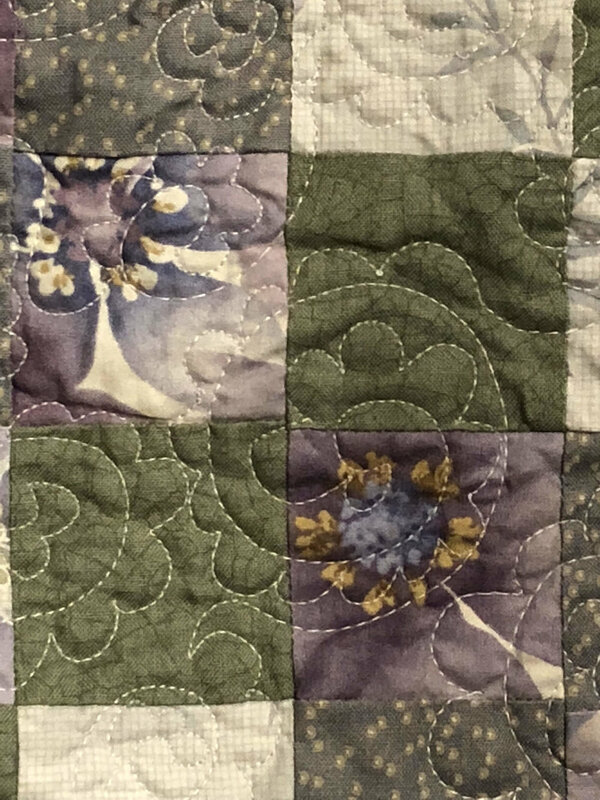 A quilter can always use more pins, although I'm more a fan of long super-skinny ones but I tend to bend those at an alarming rate. Skinny doesn't equal sturdy. In any case, I'll pull these out of the pack and bring them with me on retreat, if only to show off the pretty pretty marbled glass. Whee! 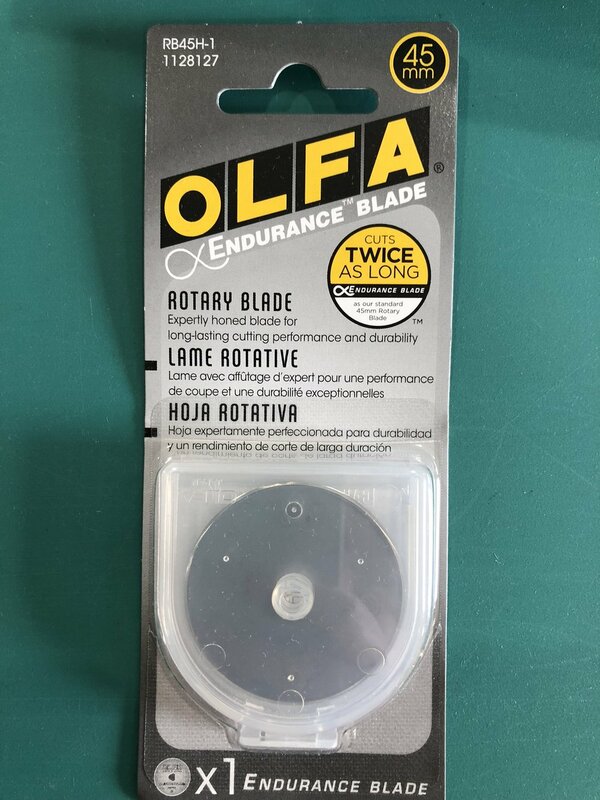 One of Olfa's endurance blades! I'm using one of these in my rotary cutter right now so I can't really tell you how long they last. Plus I'm really, REALLY bad at keeping track of that. I only change my blade when things start going horribly awry--I'm not particularly proactive. In any case, another very handy thing to bring on retreat! So, after the excitement of the endurance blade, the next thing I pulled out was a bit of a head-scratcher. This is an iron-on suede patch depiction of the house block that you'll see coming up later. It's 1 1/2" by 1 1/2" and it's suppose to commemorate the start of this box's new Sew Sampler Quilt Along. 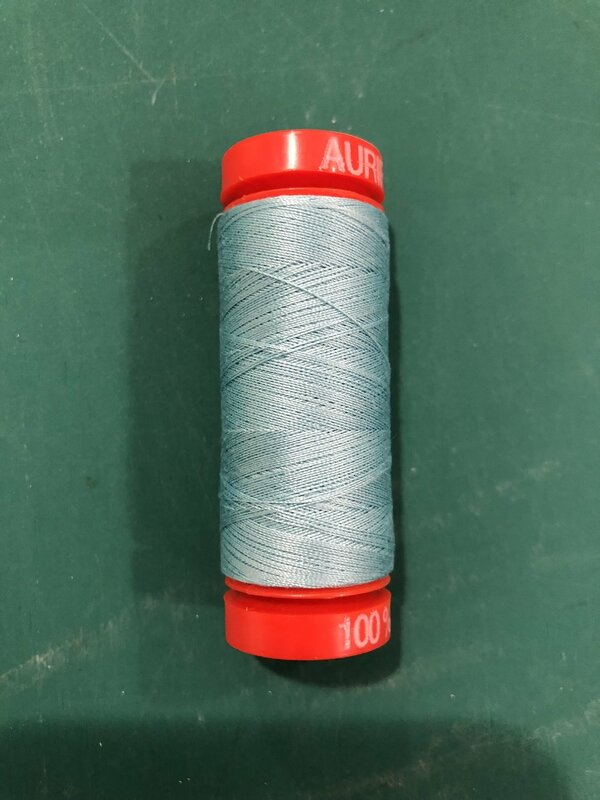 It says it "adds a striking finishing touch to any sewing project." Pretty sure I'm not ironing a gray suede square onto the back of any of my sewing projects. This will sit on the side of my cutting table, making me scratch my head more, for some time until I finally just toss it, not having found any inspiration for it whatsoever. 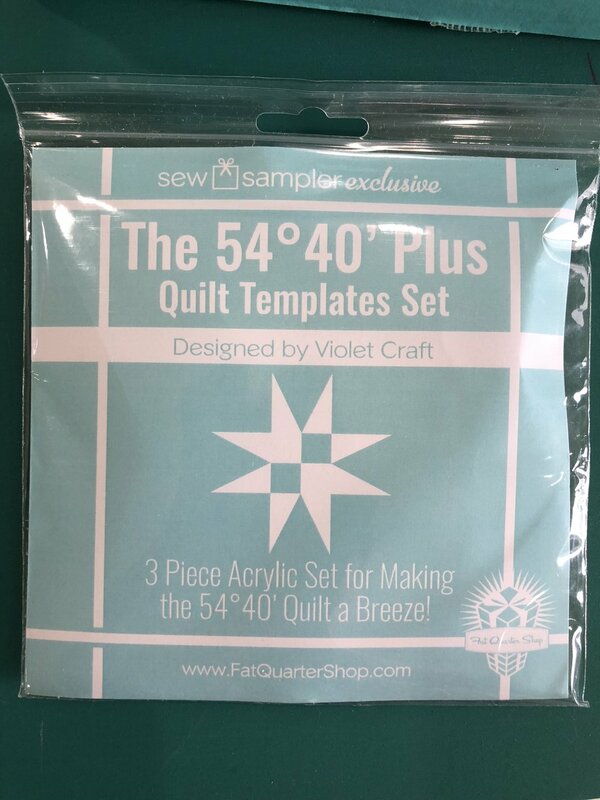 Next out of the box is a three-piece acrylic template set that goes with the quilt pattern. The templates make the long rectangular flying geese block on the four sides of the four-patch in the picture. I don't much care for working with templates but if I ever get the yen to do it, these are nice, sturdy templates and would be better than cutting them out myself. And here's the quilt pattern that goes with the templates. I'm not sure I'm in love with it, but I might like it better in other colors. I know it's all the rage in the modern quilting world, but I struggle to warm up to gray backgrounds. Now that I think of it, that statement is a bit of a pun, since I think gray backgrounds just feel cold. Get it? Warm up? Cold gray? Ar ar ar. In any case, I've seen a few gray backgrounds I like but this one isn't doing it for me. I'm picturing this in different colors and the pattern still isn't jazzing me a whole lot. I'll hang onto it, though, as who knows--maybe someday it'll flip my switch. 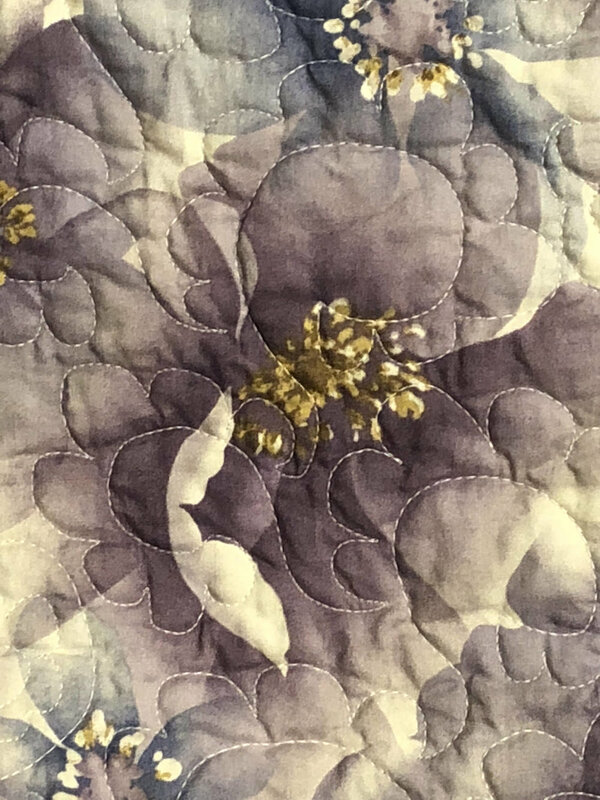 In my 20-odd years of quilting, I've gone through a whole lot of changing likes and dislikes. I'm a mercurial quilter. Yeah yeah, that's it. Mecurial sounds a whole lot better than fickle. And here's the Sew Sampler sew-along block that goes with that strange little suede patch. I've been having a yen lately to make a house block, so this design is partially appealing to me. Not 100%, but I could stand it for one block. I may do this. Maybe I should bring it on retreat. It might make a nice in-between-larger-projects change of pace. And here's the fabric they included in the box, suggested for the 54-40 quilt. 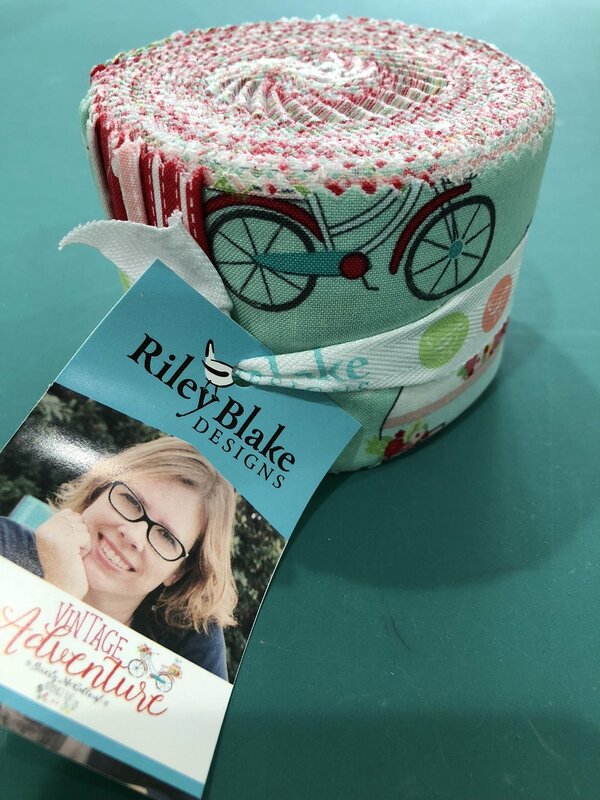 It's a half-roll (20 strips) of Palm Canyon Aruba, by Violet Craft for Robert Kaufmann Fabrics. I do love the saturated yellow and turquoise of this collection. I'm debating just breaking it up into my overall stash collection, though, especially if I'm not a huge fan of the quilt pattern. So that's it! A couple of very handy things, some things I may want to use in the future but not immediately, and a head-scratcher. Overall, not a bad box! This is getting posted Thursday morning when I'm heading to my home office for a conference call. As soon as that call is done, I'm in my car and heading to my quilt retreat! Whee! Be sure to follow me on Instagram where I'll be posting regular updates. I'll do one summary post on this blog when I get home. Here's hoping for a productive weekend! I've been fighting off a mild cold for several days, and when I went out of town for a work trip and stayed in a hotel room overnight Monday (and had a 12-hour round-trip drive to get there and back to boot), my mild cold wandered merrily down the path into borderline-bad-cold-land. I can function, but I look terrible, I'm coughing, and I don't have much of a voice. So instead of posting an unboxing video and seeing/hearing me in all my sick-puppy glory, you're just getting pictures. This month's added tchotchke was just a nail file. Meh. I'm not one who gets her jollies from patterned nail files. Still, it's functional and will eventually become handy so there is that. Here's a gallery of the fabric. None of it entirely thrilled me, but I may use the hummingbird fabric for some sort of little pouch or something. I like hummingbirds. The other fabric will all go in my stash. No immediate inspiration for any of it. Maybe I'm just too sick to be in the mood for fabric. Is that possible? If you're viewing this in a blog reader, you might have to click through to the actual website to see the gallery. Sorry! I knew it! Sew Sampler and Cotton Cuts always come right up on top of each other! Here's my unboxing video for Cotton Cuts--a lot shorter than yesterday's. For more information about Cotton Cuts, visit www.cottoncuts.com. 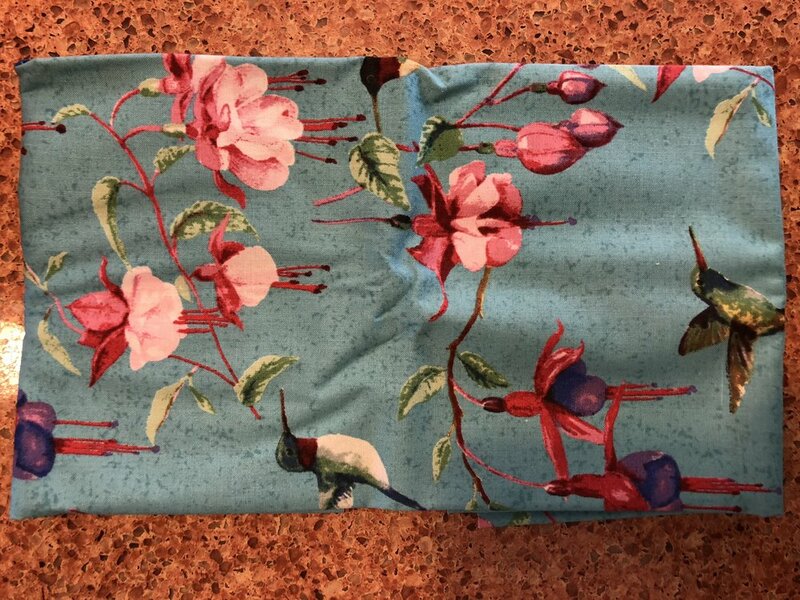 March 2018 Sew Sampler Unboxing--and an almost-finish! 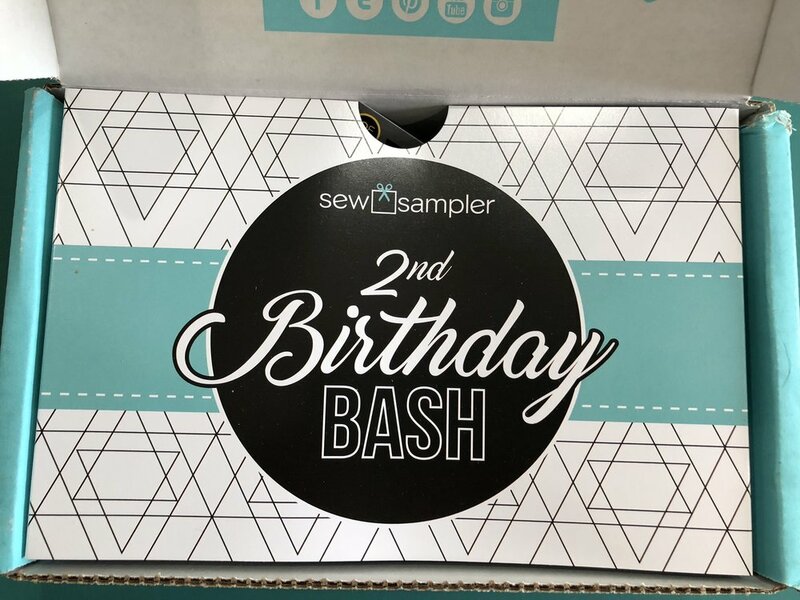 I got my March Sew Sampler box! Plus, I show what I almost got finished from my February Sew Sampler box. So, the end of the story is...I didn't end up keeping anything. I wasn't in love with the blue gingham checked blouse. I liked it, but I didn't love it. So I decided that meant it should go back. I am being very picky these days. Because I didn't keep anything this time, I went ahead and scheduled myself for another Natalie Attired at the beginning of April, and I'll be getting a Stitch Fix around then as well. I have several work events in April and May so I've asked for the types of things I'd be looking to wear at those events. We'll see how it goes! Deux Lux Maribel Double Zip Crossbody purse (black): Keeping. Urban Expressions Brixton Adjustable Strap Work Tote (burgundy): Returned. Olive and Oak Atherley Pocket Open Cardigan (green): Keeping. In fact, I wore this to the mall the evening I recorded this video, as well as (since that was only for a couple of hours), the entire next day. Love this cardigan--very comfy! Soaked in Luxury Genovar Shoulder Embroidered Knit Tee (gray): Keeping. See comment about the cardigan above. Love this shirt and got a nice compliment on it at the mall! Carol Tulip Sleeve Blouse (white with black polka dots): Returned. Just too snug in all the wrong places. I liked the style, though. All in all, mostly a success! The work tote looks bigger in the image of it on the style card than it does in person, so it's possible that Kathryn, my stylist, thought it would absolutely be big enough for files. Hard to imagine a company would name something a "work tote" that isn't big enough to hold papers. The tulip sleeve blouse certainly looked like it would fit--it's just a cut thing (or a body thing, whichever). I'm pleased at how closely Kathryn has listened to what I like and my feedback on items! They both keep coming on the same day! This time I've divided up the videos, though, to spread out the goodness. Here's a video of my unboxing of Fat Quarter Shop's Sew Sampler Box of February, 2018. Want to subscribe yourself? Here's the link! Hey! 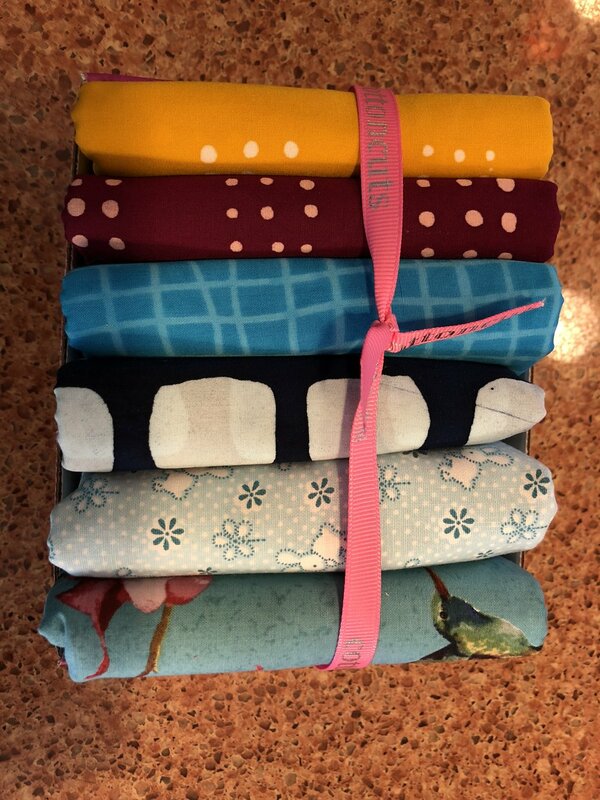 I've been out of town most of the week for work but came home to my February Cotton Cuts and Sew Sampler boxes--woohoo! I recorded unboxing videos for both of them (two separate videos) today, but am only posting one today and holding the second one off until tomorrow. No reason--just spreading things out a bit! Today is the Cotton Cuts unboxing. Have a good time!